Fresh student-grown foods augment public school menus, contribute to healthier nutritional habits and food safety, teach record keeping and marketing and build a life-long appreciation for the environment. The school year runs just the opposite of the growing season, making it difficult for educators to teach kids how to garden. But many school systems enlist volunteers to prep garden beds while students are on summer break, making the crops ready to tend when classes resume in September. School gardens have been used as an educational tool in the United States for well over a century, developing from standard vegetable beds into year-round windowsill settings, Grow Labs and hydroponic towers. Fresh student-grown edibles augment public school menus, contribute to healthier nutritional habits and food safety, teach record keeping and marketing, provide exercise and build a life-long appreciation for the environment. In short, students are encouraged to shift from being couch potatoes to cultivating lunchroom tomatoes. 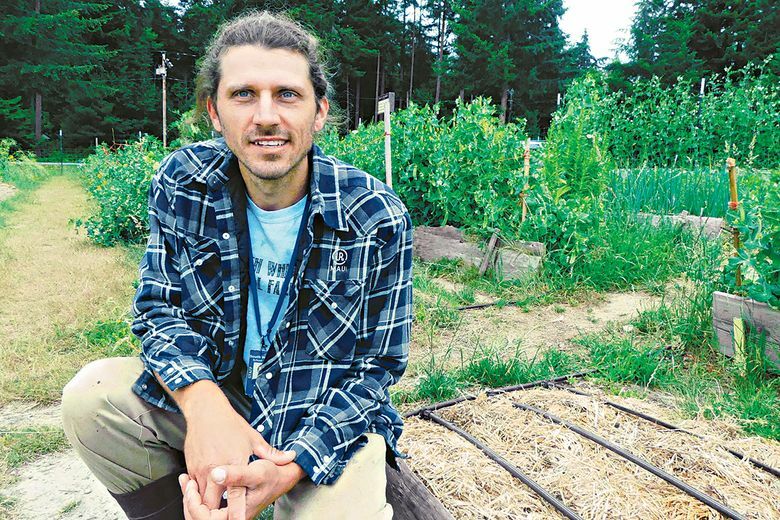 Whidbey’s school garden volunteers, like many around the nation, range from parent-child teams to community activists — different generations working shoulder-to-shoulder to plant, fertilize, water, cultivate and then harvest what produce matures early. Raabe says the summer work sessions are twice a week. Surplus edibles are donated to food banks. “We just dropped off 20 pounds of peas to a co-op last week,” Raabe says. School gardens get children outdoors, active and engaged in what occupational therapists call “heavy work,” says Emily Shipman, executive director of KidsGardening in Burlington, Vermont. “Some teachers find it a challenge to get kids outside, unfortunately,” Shipman says. KidsGardening is an independent non-profit group that provides grants, lesson plans and more. Since garden-based learning is mostly participatory, even failures count as valuable learning experiences. Everybody learns best through doing, Shipman says. Youth gardens can be used for subjects ranging from math to science, reading and writing.